Mercedes-Maybach will not unveil any concept coupes at the 2016 Woodward Avenue Dream Cruise; there will be no new Cadillac concept, either, though Chevrolet is the Dream Cruise’s sponsor for Saturday, its sole official day. But there will be plenty of cars. General Motors will have a prominent display of its classic muscle cars, FiatChrysler will have a big display of classic and modern cars – it has already used Cruise week, which coincides with Monterey Car Week and Concours d’Elegance, to unveil the Dodge Charger Daytona and Challenger R/T. Ford will have Mustang Alley, once again, on East Nine Mile Road off of Woodward Avenue in Ferndale, one mile north of the Detroit line. 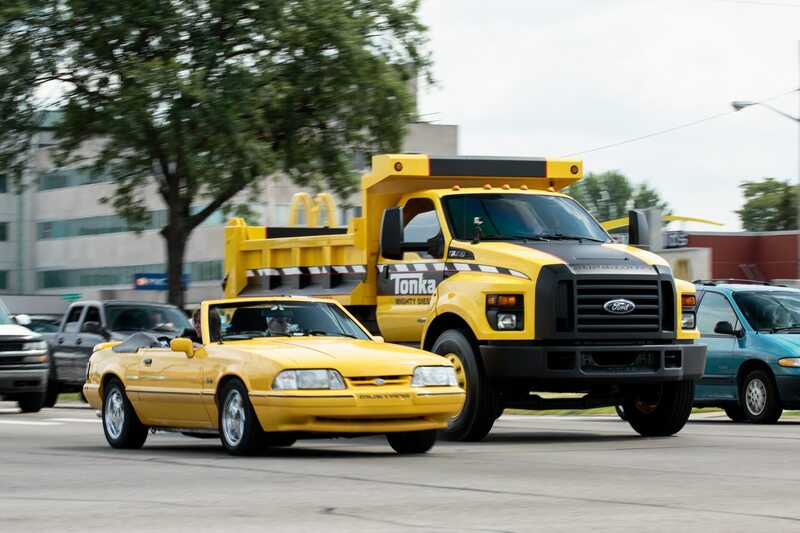 The Detroit suburb of Ferndale held the first Dream Cruise in 1995; organizers there expected between 25,000 and 30,000 people to show up for that fundraiser for the Nelson House soccer field. More than 250,000 showed up. Within a few years, the Detroit Three were using the Dream Cruise to promote their muscle/sports/ponycar renaissances, with executives often holding press conferences on Friday and flying off to the Monterey Peninsula for Sunday’s Pebble Beach Concours, though the execs have been largely absent this decade. Before it had Chargers and Challengers, Chrysler used the week of Dream Cruise to introduce to the automotive press special edition versions of its PT Cruiser virtually every year through the ‘00s, so life is getting better for enthusiasts even as the Dream Cruise looks toward a future in which the enthusiasts use it as the rare chance to get out classic cars that they actually drive themselves. Dream Cruise will be even more of a novelty, and even more important to enthusiasts by 2021, when Ford Motor Company says it will market production autonomous cars. It’s easy to think of the Woodward Avenue Dream Cruise as an anomaly that could only be successful in a metro area with an unusually high collection of classic sports, muscle, luxury, and family cars owned by engineers, designers and marketing managers. 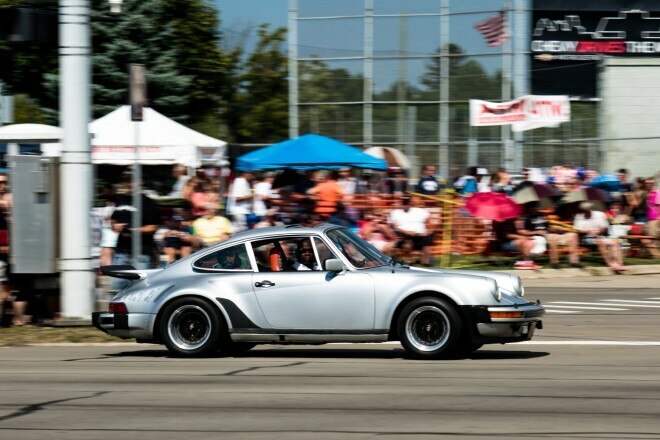 Organizers estimate that 1.5-million people attend the Dream Cruise with 45,000 cars cruising or on display. They have no estimates for how many come from outside Metro Detroit, but “the hotels are booked, the occupancy rates are high,” says Tony Michaels, executive director of the Woodward Dream Cruise Sponsored by Chevrolet, which entails board members from each participating city between Ferndale and Pontiac. “It isn’t a single venue. It’s 16 miles of roads,” Michaels says, in describing the relatively loose organization of the event. The unexpected success of that first Dream Cruise, the soccer field fundraiser, hinted that just maybe this is something that Ferndale, Royal Oak, Birmingham and Pontiac should have started a decade or more earlier. Royal Oak’s economic revival had just begun in the mid-‘90s, Ferndale’s was still a few years into the future, and Pontiac is just now getting started, with the help of the soon-to-open M1 Concours. Younger enthusiasts aren’t necessarily devoted to locally designed or built rides, however. There always has been a foreign car contingent, especially in tony Birmingham, on Saturday. But there’s a growing group of Japanese and European car enthusiasts who tend to hang out in the parking lot next to Pasteiner’s Auto Zone Hobbies on summer Friday and Saturday nights leading up to the Woodward Avenue Dream Cruise Sponsored by Chevrolet. There. I’ve managed twice to get the official sponsorship name of the big Saturday event into this column. Despite that sponsorship, despite the annual FiatChrysler Mopar unveiling and Ford-sponsored Mustang Alley, Dream Cruise week is a relaxing antidote to the extended luxury car show and the multimillion-dollar auctions that Monterey Car Week & Pebble Beach Concours d’Elegance has become. And unlike the West Coast event, your classic car can get more than a drive across the 18th fairway – an activity that may become much more special as autonomous cars take over our daily commutes.